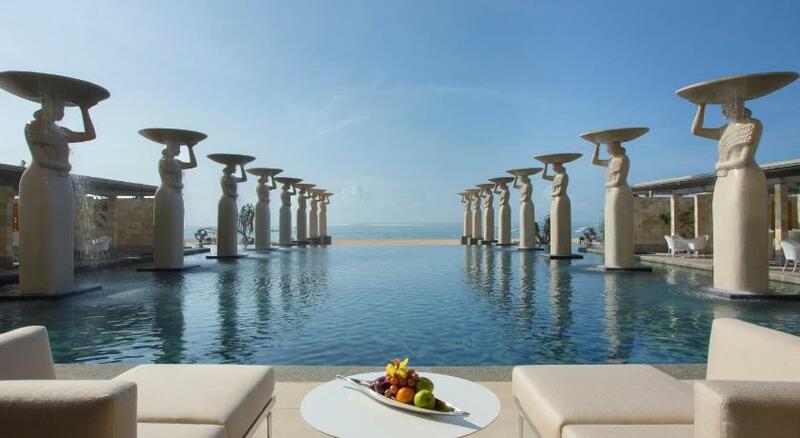 Surrounded by beautiful tropical landscapes, The Mulia offers luxurious accommodation overlooking Nusa Dua Bay. It boasts an outdoor pool, a gym and air-conditioned suites with a hot tub. Free Wi-Fi is accessible in public areas. 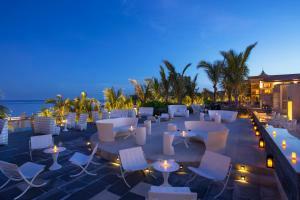 The Mulia is a 8 minutes’ drive away from Bali Collection where shopping and fine dining options are available. Ngurah Rai International Airport is 25 minutes’ drive away, while it takes 30 minutes to drive to Uluwatu Temple where guests can see traditional Kecak dance performances. Elegantly decorated in brown tones, all suites have a fridge, minibar and a coffee/tea maker. They also feature ample seating space with plush sofas and a flat-screen satellite TV. 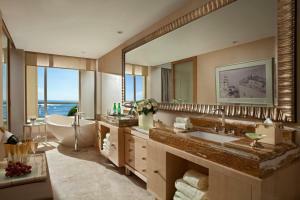 A bathtub and a complete set of free toiletries are provided in the en suite bathrooms. On-site conveniences include a business centre, currency exchange service and a children’s playground. Car rental and airport transfers can be arranged at the 24-hour front desk, which comes with luggage storage facilities and safety deposit boxes. 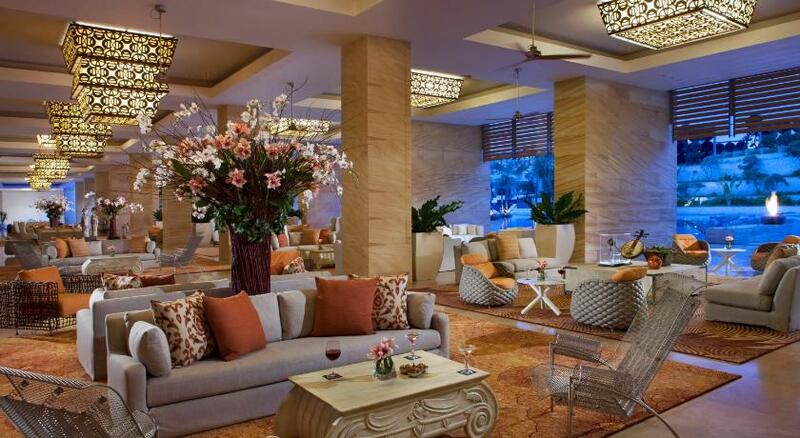 A variety of international delights are served at The Lounge. Guests can also dine in the comfort of their suites.